Interpersonal skills, also known as people skills, are related to the way you communicate and interact with people. When employers are hiring, interpersonal skills are one of the top criteria used to evaluate candidates. Regardless of the job you're applying for, employers will expect you to have excellent written and verbal communication skills. You will need to be able to communicate effectively with employees, managers, and customers in person, online, in writing, and on the phone. The way in which you come across to others can speak volumes. People often form an impression of you within the first few seconds of meeting, so it's important that you present yourself as a professional. People with strong interpersonal skills are often more successful in both their professional and personal lives. 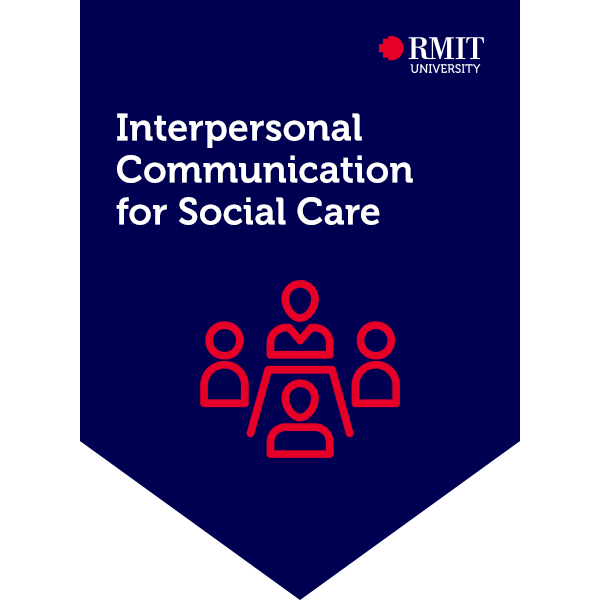 Interpersonal communication is recognised globally as a key capability required for work and life in the 21st Century. An ability to interact and connect through digital systems and technology is vital for; the communication and sharing of ideas, global access to information, clarity in work and presentations, creative design work; the streamlining of processes and efficiency around work routines. Assessment will take place in the workplace. The learner will demonstrate their abilities through the unit of competency assessment, including practical demonstrations with rubrics and oral questioning by facilitators. Practical demonstrations of interactions assessed via course facilitators. All communication skills will be assessed via a rubric.